Serving a vegetable at a meal does not have to require actually cooking a vegetable. There are nights (like tonight!!!) that my main dish takes longer to prepare than I expected, or some unforeseen distraction appears (usually in the form of homework that requires a lot of parental assistance). On those nights I serve up the simplest veggie side ever: raw carrots. I’ve tried serving them in several forms: whole carrot, cut into sticks, chopped into chunks, sliced into disks, or the infamous baby carrot. Of course each of my kids prefers a different shape, but since I’m not a short-order cook, I go with the shape that all can almost agree on, the carrot disk. 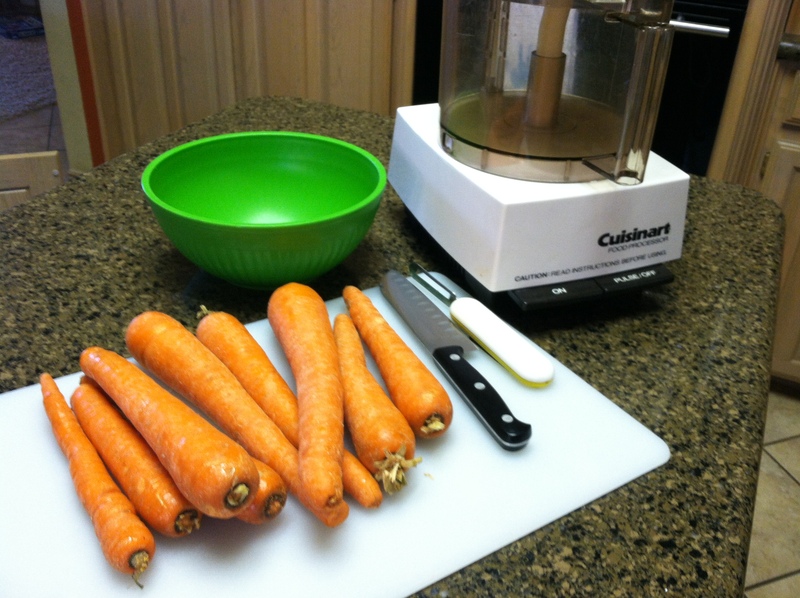 About once a week I take roughly 2 1/2 pounds of raw carrots, peel them, chop off the ends, then run them through my food processor using the slicing disk. The total time it takes from the photo at the top of the post to the photo at the bottom is 7 minutes, 35 seconds (yes, I timed it, I’m a geek like that). That’s right, less than 8 minutes to slice up enough carrots to last my family 6-7 days. I usually pack them in my kids’ lunches, but in a pinch (like tonight), the are my veggie side dish. 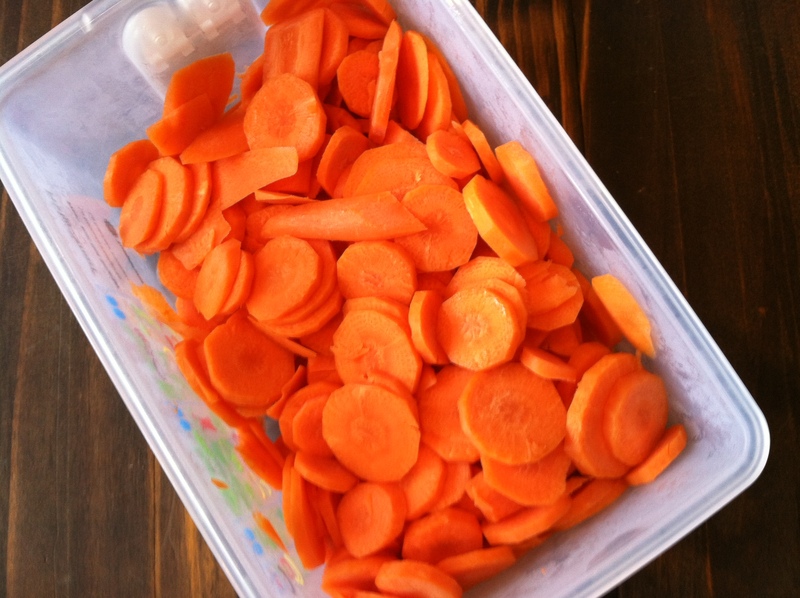 Next time you find yourself with a spare 8 minutes, a bag of carrots and a food processor, get to work…..you’ll be glad you did!